Do you think Monet’s design for his garden was influenced by trends in French gardening, or was it more defined by what he wanted to do as a painter? Both, I think. When he and Pissarro took refuge from the Franco-Prussian war in England in 1870, he became fascinated by English parks, especially Green Park and Hampton Court. These places frequently occur as subjects in his art – Impressionist ‘parkscapes’, you could say. And he was definitely influenced by French garden trends, although he never had a classical formal garden. Every time he bought a house he cultivated the surrounding garden. The first one in Argenteuil in the 1870s was more an orchard with a lot of flowers. Then between 1878 and 1883 he and his family lived at Vétheuil, about 40 miles from Paris in a modest house close to the River Seine. Here, he made a series of paintings depicting his family in the garden. He loved painting sunflowers and mallows. As time went on he took a more direct interest in horticulture and grew vegetables. The decision to move to Giverny clearly had one motivation: there was lots of land, which was cheap and open to cultivation. Was Monet typically French in establishing and using his garden as an extension of his studio? No, not really. He was the only artist who owned a garden the size of Giverny, which covered almost two hectares. Caillebotte and Renoir had gardens, but Monet’s was huge, more like a park. He used his garden for studies almost every day, in all weathers, even in winter, when he painted flowers from the greenhouse. However, he had three studios near the house (one of them the size of a large greenhouse) where he worked at the easel. In England, from the later 1800s, quite a number of artists developed horticultural expertise as well as designing and planting their own gardens. 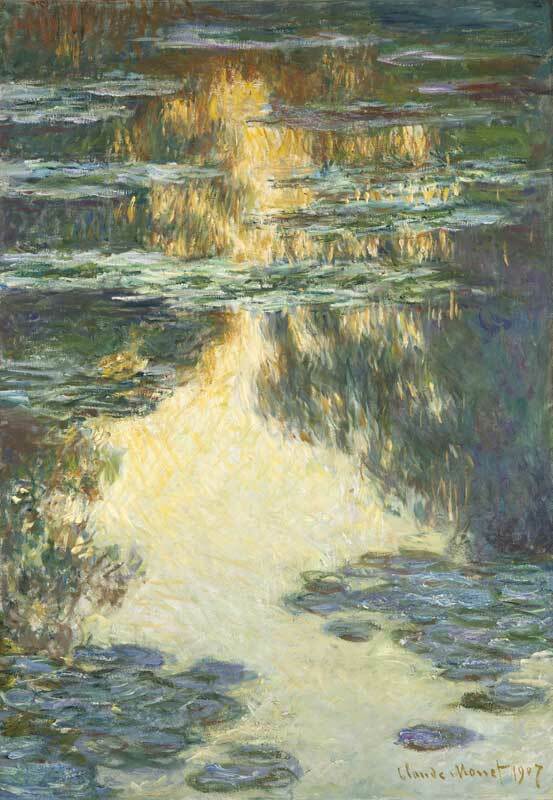 Monet was fascinated by botany and swapped plants with artist friends such as Caillebotte. Was this unusual? Collecting plant specimens and a practical knowledge of horticulture were generally very common in France, and there were plenty of opportunities to gain information on new species from exotic locations – for instance, at the Exposition Universelle in 1889. Monet was a frequent visitor to the Jardin des Plantes, and by the 1890s was on good terms with the chief gardener, Monsieur Varenne, whose expertise he greatly admired. They had a regular exchange on garden subjects and new species. The artist was not, as such, a collector of plants. However, whenever he got hold of new specimens he immediately tried them out in his garden. He built a greenhouse to provide fresh flowers during the winter, and cultivated plants in pots so that his garden was in bloom by early spring. He lavished a good deal of time and money on the Water Garden in Giverny, and everyone regarded the pond with the famous bridge as a major achievement in garden design. I like the link between garden colour and colour in art. In planning his garden, and choosing flowers, do you think Monet was motivated by the way in which he had already used colour in his paintings? There is a close relationship between the plants Monet admired and his palette: yellow and violet for (or from) the irises, dark red for the roses, lots of blues for the water effects and so on. However, it is difficult to say whether he first used certain colours and then looked for special plants, or vice versa. I believe that the garden came first – it was his studio; nature into art. That probably is the most modern aspect of his artistic achievement. The garden became the source of his motifs and compositions. You could say it this way: new plants, new motifs, new pictures.’I do what I can to convey what I experience before nature,’ he wrote to Gustave Geffroy, in June 1912. All this botanic and artistic entrepreneurship was taken very seriously, in the most passionate manner, even in his late years when he suffered from several cataracts and experienced blurred vision and colour distortions. Nevertheless, it was a give and take between the artist and the garden. I am fascinated by the parallels between Monet, the French artist/gardener, and Gertrude Jekyll, the British gardener/artist manqué. Monet knew about Jekyll: he owned copies of her books and even subscribed to Country Life magazine, in which she had a regular column. I don’t know if Jekyll was aware of Monet. (They did, apparently, have acquaintances in common.) Of course, the Clos Normand flower garden at Giverny is not at all dissimilar in style and appearance to an English country garden, although I suppose Monet was inspired here as much by the cottage gardens of Normandy as Surrey. They were both into photography and used it to record their gardens. In the early years of the twentieth century Jekyll and Monet were both absorbed in creating gardens in which colour harmonies were influenced heavily by their experience of art. They also studied colour theory, both owning copies of treatises by Claude Naudin and the Belgian botanist, Joseph Decaisne. They were both troubled by failing eyesight, which may have, paradoxically, intensified their obsession with colour. Jekyll, although we know her today as a gardening guru, had trained as a painter, being influenced by Turner, whose oil paintings she copied. She travelled widely in Europe, including France, where she was tutored by the British artist Hercules Brabazon. Her social circle included the Francophile Barbara Bodichon, who was in turn a friend of Corot and Daubigny. I wonder why Gertrude Jekyll was not better known in France? I suppose it has a lot to do with the fact that the gardening revolution she spearheaded was so enmeshed in specifically English traditions – English vernacular architecture, English folk culture, English flowers, English country gardens; a whole English way of life which, a bit like cricket, remains a mystery to the uninitiated. Jekyll did, however, provide plans for at least one French garden, at Le Bois des Moutiers near Dieppe, planted around 1900 by Guillaume Mallet and still owned by his family. In London in the late 1870s, the French artist James Tissot built a French garden in St John’s Wood. He had little interest, as far as I know, in horticulture, the garden being used to bolster his social status, as well as acting as a stage set for a number of his most important paintings. What about Monet – did he use Giverny to promote himself? Monet’s garden was widely known, but few people were admitted; mostly friends and clients. In later years he sanctioned articles in women’s magazines, with titles such as ‘Le jardin d’un grand peintre’, showing Monet, now an old man, in his hat and jacket standing on the bridge. From 1920 onwards the garden was something of a legend, rather like its creator; and the legend lives on. Monet was, as you say, very fond of photography and possessed a whole range of equipment. Many of the pictures of the garden were taken by his son Michel – but there are very few showing him at the easel. These may even have been staged for the public. He loved to give away photographs as little gifts to friends and relatives. The photographs made the garden very popular, too. I can imagine an artist’s ambivalence towards the garden as it is today. It is, of course, quite different. It was dedicated to one main purpose – for Monet to have a beautiful and vast studio en plein air. Even so, I believe it has been a good thing to preserve the garden, or even to re-create it, because it gives a unique first-hand insight into the artistic world of Monet. Going back in time a bit, many German parks, notably those designed in the nineteenth century by Peter Joseph Lenné, were intended as works of art. Do you think Lancelot ‘Capability’ Brown, for example, was an artist? Brown trained as a gardener, and was first and foremost a landscape garden designer. Of course, his approach to gardening was highly pictorial in that he transformed parks and estates into classical landscapes reminiscent of paintings by Claude Lorrain and Gaspard Dughet. In this sense, you could call him an artist. Was Brown’s approach to the garden a British ‘invention’? There is a long tradition of garden design in Britain, and a host of celebrated designers such as Henry Bridgman, William Kent, ‘Capability’ Brown and Humphry Repton. Even so, landscape gardening on a grand scale was always linked to international trends. What I think is peculiarly British, or I should say English, is the way in which the idea of the garden is fused with a sense of national identity. Patriotic garden imagery ranges from Shakespeare’s description of England as ‘this other Eden’ in Richard II to Rudyard Kipling’s imperialist declaration that ‘our England is a garden’. Gardening is, of course, very popular in England. Does this mean that there were lots of artists using their gardens as plein-air studios? Gardening has been popular here for hundreds of years, although it is not really until the nineteenth century that we come across the phenomenon of the artist-gardener, in the sense that a garden is created principally as a stimulus to art. Also, despite the cultural importance of gardening, there was no major British equivalent to Monet. The artists who gardened, at least during the Victorian era, were relatively minor figures, such as Alfred Parsons, who combined his artistic activities with work as a professional garden designer. In the twentieth century there were, however, quite a number of British artists who used their gardens in a way more akin to Monet. I am thinking here particularly of Cedric Morris and Patrick Heron. Morris painted flower specimens, notably his superb collection of irises, while the relationship between Heron’s paintings and his garden was more oblique – he used the vivid colours of the flowers as a means of exploring abstraction, making him closer to Monet. More recently, two artists, Ian Hamilton Finlay and Derek Jarman, have created gardens that have been upheld as works of art in their own right. Both are very different from Monet’s – Finlay’s is set in rolling Scottish moorland pasture, while Jarman’s is poised precariously on a shingle bank on the Kent coast. The Swiss artists Peter Fischli and David Weiss have used the garden as foliage in their work, such as Visible World 2000, a piece owned by both Tate and the Kunsthaus Zürich, in which we see a series of photographic stills dissolving one into the other, some of them including images of gardens. Previously, in 1997, they were asked to take part in Skulpturprojekte Münster, an international exhibition about public sculpture. With a certain degree of irony, they found a private garden in a secluded part of the city, a place that had been known in the nineteenth century as a romantic country garden, and planted a vegetable garden. There is no doubt that the garden is an important reference point for many contemporary artists. 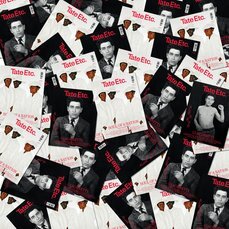 The exhibition at Tate Britain includes works by Gary Hume, Marc Quinn, Susan Hiller, Mat Collishaw, Sarah Jones, Anya Gallaccio, Janice Kerbel and Martin Parr. However, what distinguishes the works by these artists, and others in the show, is how different they are from one another – not only in formal terms, but in how they regard the theme of the garden. Some, such as Parr, adopt an approach reminiscent of Fischli and Weiss, commenting with detached amusement upon the absurd and banal aspects of garden culture. Collishaw and Jones, meanwhile, seek a more emotional bond, while others are concerned with the ecological and moral content of contemporary gardening, and its relationship to the wider cultural environment. One thing is certain: the garden remains as intriguing a subject for art as it ever was – although I’m not sure quite what Monet would make of the present scene.